Oracle Faces Fierce Competition in the SMB Space! In my post about Oracle in the Small and Medium Business space I pointed out that while Oracle can drive large SMPs to TPC results in the 4 Million TpmC range, their recent push to SMB is really “where it’s at.” I made that blog entry fresh off the heels of a press release about SMB back in May 2007. 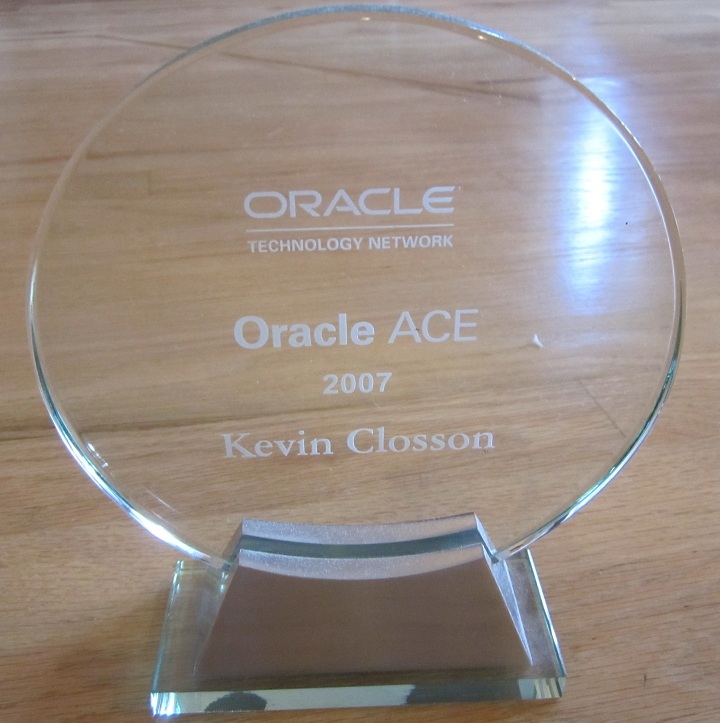 This blog entry is a follow-up to a June 27 press release where Oracle announced ORACLE 1-CLICK ORDERING and the establishment of an SMB Technology Program Office within Oracle headed by Judson Althoff. I wish Judson and the rest of the folks at Oracle focusing on SMB the absolute best! I’d really like to see Oracle get more traction in the SMB space. So they are taking their big concrete and trying to whittle down to a smaller scale. Hmm, that’s Microsoft. The company that entered the “Enterprise Database Market” by licensing Sybase and running on x86 and IA64 machines with only one Opertaing System to support. I’m a pretty simply guy, so I’ll stick to that analogy. I wonder what is more difficult, whittling something down, or un-whittling something together? Peachtree Complete III the business accounting system – comes on 5.25 inch floppies and 11 manuals. All 10 floppies are here and the disks are in very good shape and have been in the box in a closet for a long time, so they have been protected. The dustcover is thin cardboard and has some wear, but the manuals and disks are in real good shape. This is from 1990 and runs on any XT or AT with 640k of Ram. If you really wanted to, you could actually install this on a machine and run your business with it. You would have to add the tax codes manually, but only once. At one time, this was the accounting package of choice. Anyway, it’s a little heavy, but I can ship it media mail for big shipping savings. $12.00 Shipping Weight 9 lbs. And if you need to write checks, you can get Bank Account Manager to go with it. There you have it. You heard it here first. Oracle’s newest competitor is Peachtree. You better get one of these. To be successful in SMB you have to have great products aimed at the customers in the space, and you have to have great partners to drive solutions to these customers,” he said. “When you are talking about mid-market, these guys have the same business requirements as enterprise but they don’t have hundreds of IT staff and thousands of dollars to spend. They have to be much more practical in their decision making. Thousands of dollars? Yep, better get that PC-XT and a copy of Peachtree.